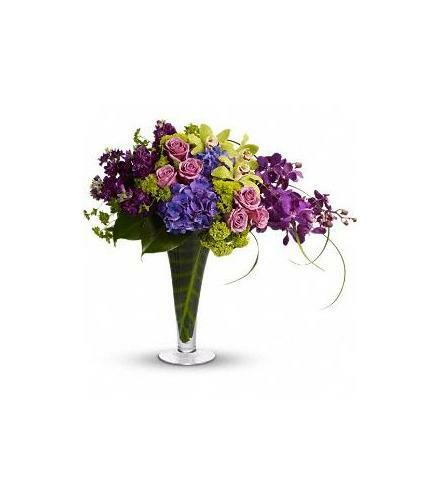 A lovely mix of blue hydrangea, green cymbidium orchids, mokara orchids, lavender roses and lots more are delivered in a footed and flared glass vase. Make magic happen for her majesty!. Luxury Flowers - Your Majesty.